Luxury tells the story of wrinkled, kind hands patiently creating a rare, decadent something. Ice halwa is exactly that. Pistachio and almond slices submerged in a paper-thin sheet of candy, nestled with fragrant saffron threads. You probably feel cheated, don’t you? Where had I been? Living under a rock? How come nobody told me about this before? Well, thank God for Pagu. Pagu is a rare find of a friend. Generous and kind, she exudes a happy energy. And it was Diwali when she gave me my first taste of that ice halwa candy. 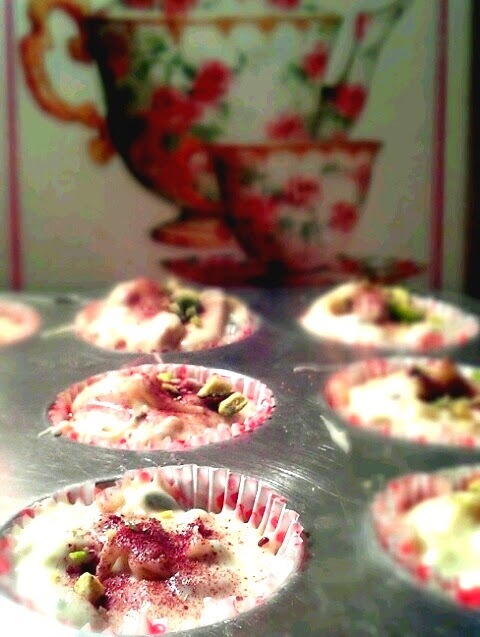 Saffron Pistachio Snow Whites with Rose Petal Dust. Luxury can be yours in minutes! 1. Melt the chocolate chips gently in the microwave for about 45 seconds. 2. 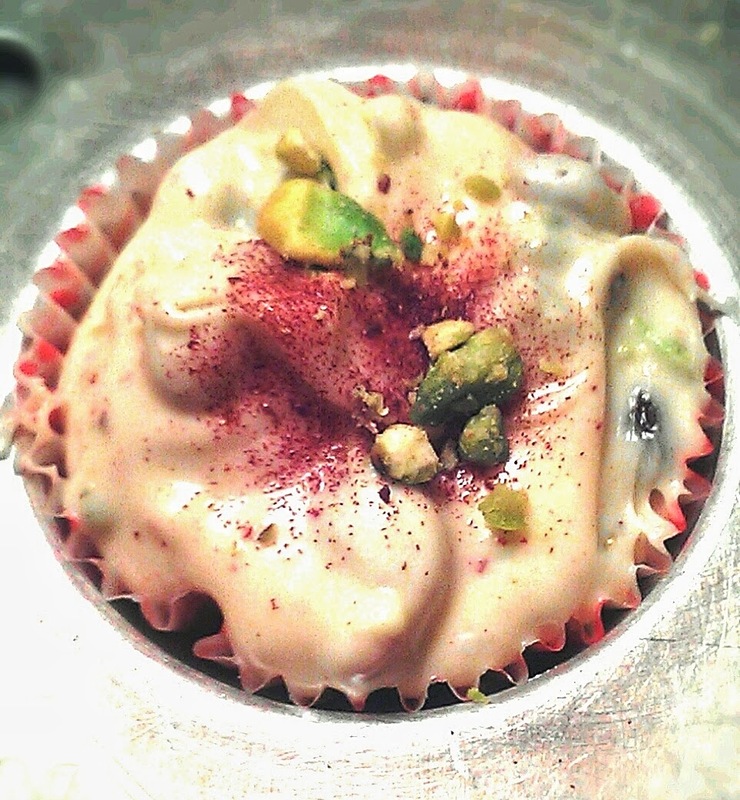 Mix the saffron into the chocolate while it is still warm to release the flavor. The best things in life are meant to be shared. Share one of these and you’ll have a friend for life!